I am living proof that Hypnosis can easily Jump-Start your Weight Loss efforts! 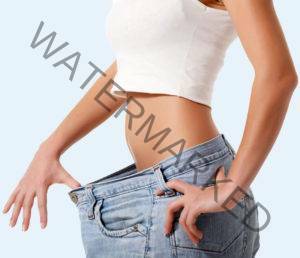 I am 80 pounds less of a woman because of the powerful results achieved through Hypnosis. Still skeptical? According to a 2009 report published in Primary Care: Clinics in Office Practice, hypnosis is listed as one the only three complementary and alternative therapies shown to be effective in the treatment of obesity. In the International Journal of Obesity in 2005, an earlier review of 31 studies on complementary therapies and weight loss found evidence of hypnosis promoting weight loss. Earlier research suggests that hypnosis may aid in weight loss by increasing self-control, encouraging physical exercise, improving self-esteem and body image, and boosting motivation. What have you got to lose. . . .but the weight! You may read more about these tools on my website on the ABOUT THE TOOLS page. Each week, you receive you receive 1 in person session and 1 recording to listen to every day until the next session. So that’s 4 in office sessions and 4 recordings. The program is offered as a discounted package of $600 and payment is required in advance to receive the discount. No other discounts apply. Identify and set healthy weight loss goals. Manifest and maintain your ideal body image. Clear blocks and stop sabotaging yourself. Discover your feelings and eating triggers. Change your beliefs about your body and eating. Strengthen your will power to stay on track. Program yourself to look forward to exercise. Receive suggestions to make better food choices.